WorkJam provides a simple approach to managing the constant flow of shift trades, swaps and cancellations that managers need to deal with on a day-to-day basis. By empowering employees to manage their schedules and by bringing the schedule to their fingertips, staff and managers can collaborate with each other making schedule changes a breeze. Managers can have full visibility and can set their processes with approval workflows. Changes are made in real-time and notifications are sent immediately via email, SMS, push and in-app notifications. 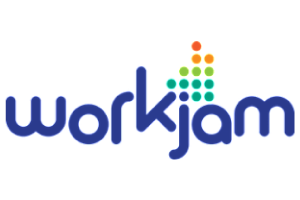 WorkJam reduces over and under staffing by optimizing the schedule while maintaining compliance rules.